This Obsidian Crystal Pipe is a beautifully powerful smoking device. 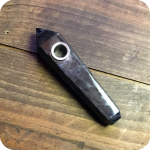 To smoke with the obsidian crystal pipe, just pack the bowl piece with your favorite legal herbs, light it up and inhale. No carburetor necessary! 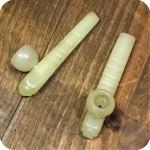 This pipe is only about four and a half inches long, but it is very durable and made too last. 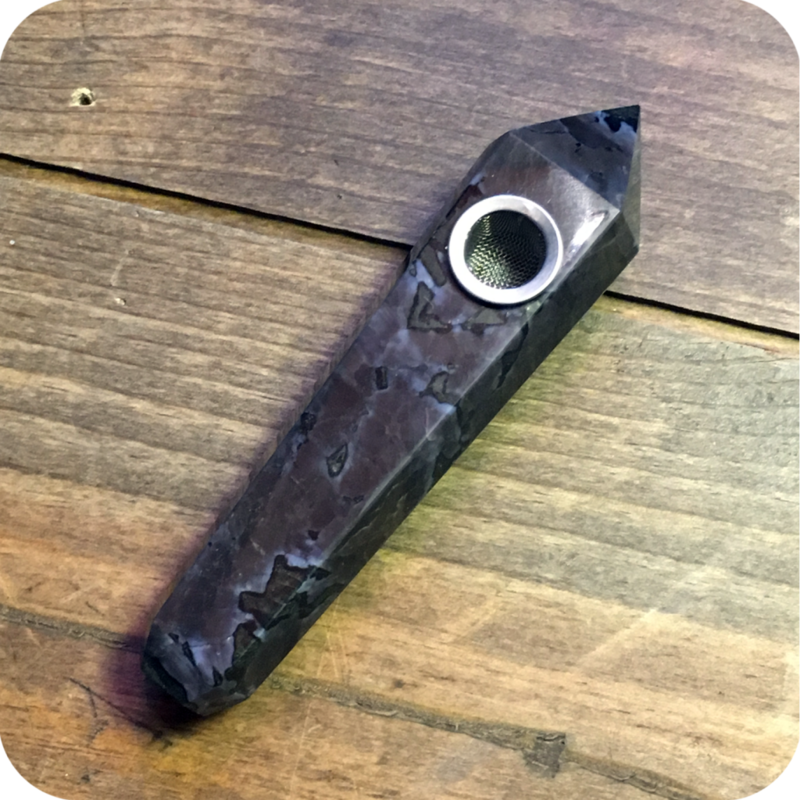 With enough care and maintenance this pipe could last a lifetime! This stone forms from molten lava that cooled too quickly to form into glass. Because of this, people consider it to be a volcanic glass. It can be found all over the world in many different shapes and colors. The most common type is the black obsidian stone. Crystal lovers all over the world believe the Obsidian Crystal too have some very beneficial healing powers. It is said to bring in the negative spirits and energies in any situation, thus deflecting the bad vibes away from the person using it. 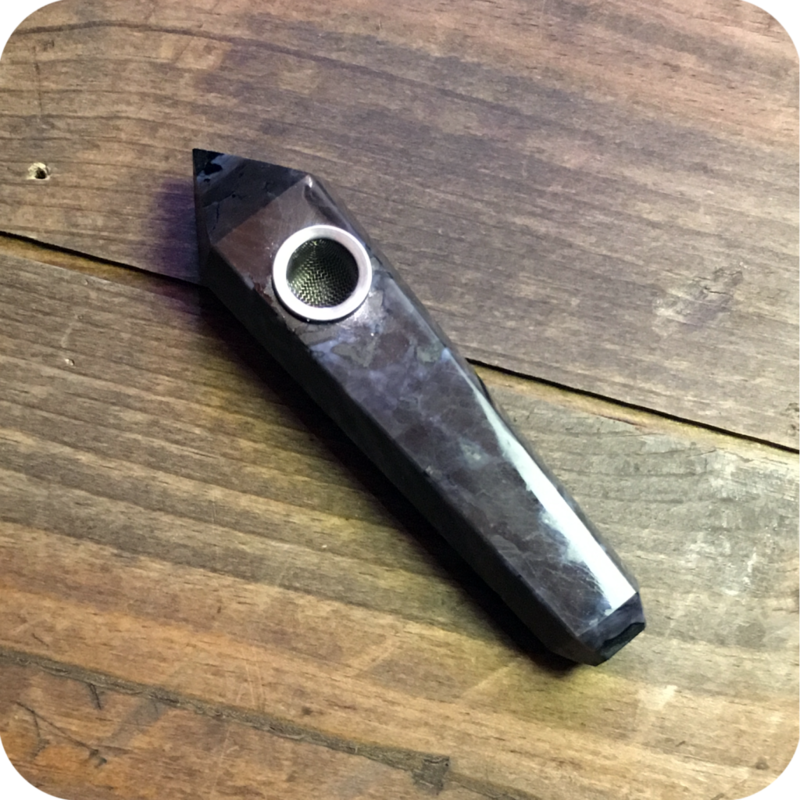 Obsidian helps people think in a more focused and grounded state. It can really work wonders for highly sensitive people that let their emotions take over their actions before thought. Obsidian is the stone of truth. It brings to light truths that are otherwise suppressed by the user. Additionally, obsidian gives the user the strengths to face these truths head on. 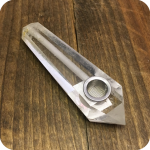 Check out our many other great crystal pipes for sale here online, or in store at either one of our three Brooklyn locations! Tags: crystal, crystal pipe, Obsidian, Obsidian Crystal Pipe, sunflower glass, sunflower glass shop, sunflower pipes.